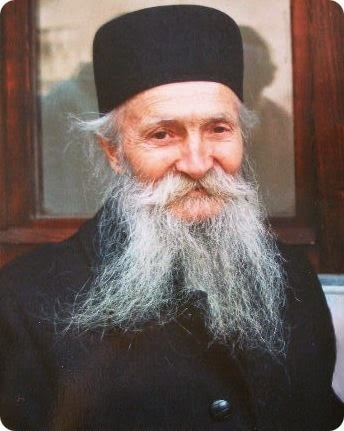 Our Holy Father Nektarios was born on 1 October 1846 at Selymbria in Thrace. His parents, Dimos and Maria Kephalas, were pious Christians but not rich in this world’s goods. Their son was baptized Anastasios and, from infancy, showed great piety and love for study. When his mother taught him Psalm 50, he liked to repeat the verse: I shall teach thy ways unto the wicked and sinners shall be converted unto thee. 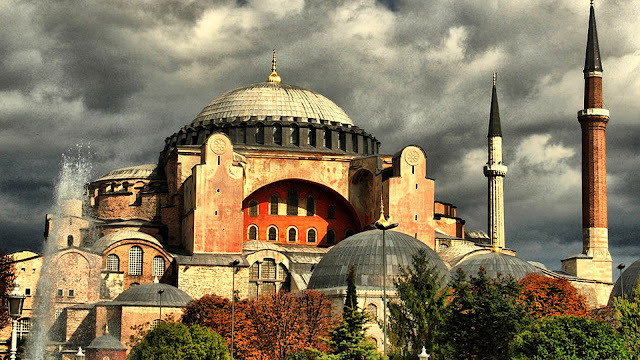 After finishing elementary school, he was sent by his parents to Constantinople to continue his education, at the same time as working in a shop. 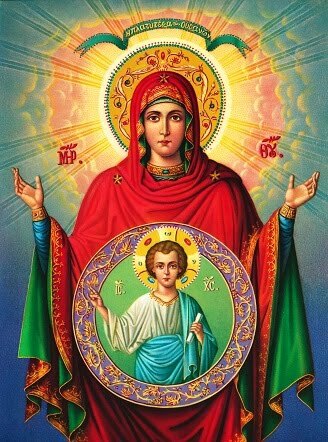 The boy did not become entangled in worldly cares but fixed his mind entirely upon building up the inner man in the image of Christ by prayer and meditation on the writings of the holy Fathers. When he was twenty, he left Constantinople for a teaching post on the island of Chios. 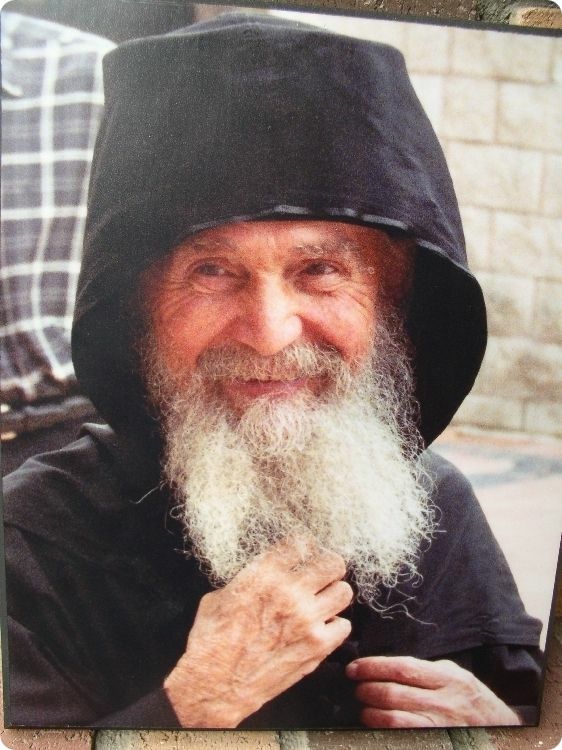 The young people and villagers where he taught were encouraged to live in piety and virtue by his words and above all by the example of his ascetic, prayerful life. On November 7, 1876, he became a monk in the famous Monastery of Nea Moni, for he had long desired to embrace the Aesthetic life. 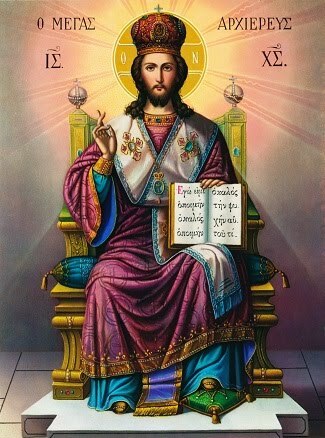 Seeking only those things which are above, he was beloved by all the brethren as the very pattern of gentleness and obedience and was ordained deacon after one year. 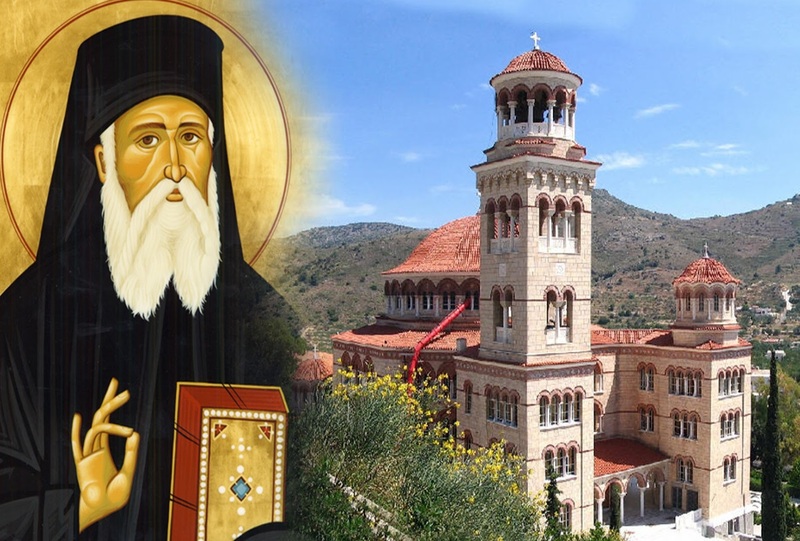 Thanks to the generosity of a pious islander and to the protection of Patriarch Sophronius of Alexandria, he was able to complete his studies in Athens and to obtain the diploma of the Faculty of Theology. In 1885, he arrived in Alexandria where he was soon ordained a priest, then consecrated Metropolitan of Pentapolis (an ancient diocese in Cyrenaica, in what is now Libya). He was appointed preacher and secretary to the Patriarch, whose representative he became in Cairo, where he had charge of the Church of Saint Nicholas. Nektarios lost nothing of his humility through these honours and was able to inspire his flock with zeal for the evangelic virtues. But the love and admiration of the people for him turned to his disadvantage. Certain members of the Patriarchate became jealous of his success and, led on by the Devil, put it about that he was currying favour with the people with the aim of seating himself on the patriarchal throne of Alexandria. The Saint made no attempt to justify himself but placed all his hope in the promise of Christ who has said: Blessed are you when men revile you and persecute you and utter all kinds of evil against you falsely on my account (Matt. 5:11). He was dismissed from his Episcopal Throne; and he embarked for Athens where he found himself alone, ignored, despised and even lacking his daily bread, for he would keep nothing for himself and gave away what little he had to the poor. 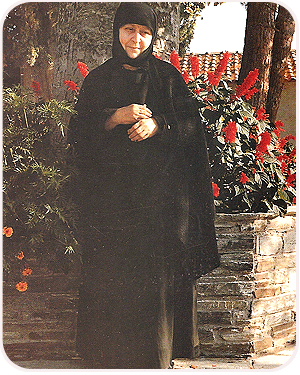 The meek and humble follower of Jesus Christ planned at first to withdraw to Mount Athos but gave up the idea, for he put the salvation of his neighbour before his own love of monastic retreat. He spent several years as a preacher (1891-1894) and was then appointed the director of the Rizarios Ecclesiastical School for the education of priests. The School’s spiritual and intellectual standing rose rapidly under his direction. The students found in him a teacher with a deep knowledge of Scripture, of the holy Fathers, and even of secular learning, and a director who exercised his authority with great kindness and consideration. 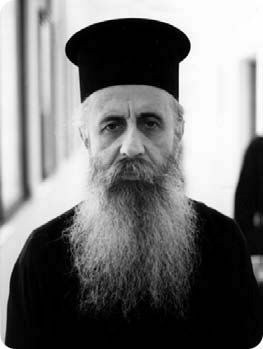 His administrative and teaching responsibilities – he taught pastoral theology – did not prevent him as a monk from living a life of ascesis, meditation and prayer, nor from fulfilling the high calling of preaching and serving regularly the holy Mysteries, at the School as well as in the Athens region. However, there glowed in the depths of his heart a burning love for the peace and quiet of life in the monasteries; and this led him to respond warmly to the desire expressed by some of his spiritual daughters that he should found a women’s monastery on the island of Egina. This he did between 1904 and 1907 and he retired there in 1908, on his resignation as director of the Rizarios School. Despite countless cares and difficulties, Saint Nektarios saw to the restoration of a type of life that was wholly in the spirit of the ancient Fathers. He gave his utmost bodily and spiritual strength to the construction of the buildings, to divine service and to the spiritual direction of each one of his disciples. They would often see him in his worn-out cassock working in the garden or, when he disappeared for many hours, they would guess he had shut himself in his cell to raise his intellect to God by bringing it down into his heart, to taste there the sweetness of the holy Name of Jesus. Although he desired to flee all contact with the world and strictly limited visits to the Monastery, the fame of his virtues and of his God-given graces spread in the region, and the faithful were drawn to him like iron to a magnet. He healed many lay-people and nuns of their sicknesses and brought rain to the island in a time of drought. He comforted, consoled and encouraged; he was all things to all men. He could do all things through Christ who dwelt in him by the Grace of the Holy Spirit. He kept company with the Saints and with the Mother of God, and they often appeared to him during the Holy Liturgy or in his cell. During the difficult years that followed the First World War, he taught his nuns to rely from day to day on the mercy of God. He utterly forbade them to keep any food in reserve for their use, instructing them to give away to the poor everything that remained over. Saint Nektarios also found time to write a large number of works on theology, ethics and Church history, in order to strengthen the Church of Greece in the holy tradition of the Fathers, which was often unknown in those days because of Western influences. Saint Nektarios lived like an angel in the flesh with the rays of the uncreated light shining around him, yet once again he was calumniated by certain members of the hierarchy who made malicious accusations about his monastery. He bore these latter trials with the patience of Christ, meekly and without complaint, as he did the painful illness which afflicted him for more than eighteen months before he spoke of it. He thanked God for putting him to the test in this way and did his best to keep the pain he suffered secret until the last days of his life. 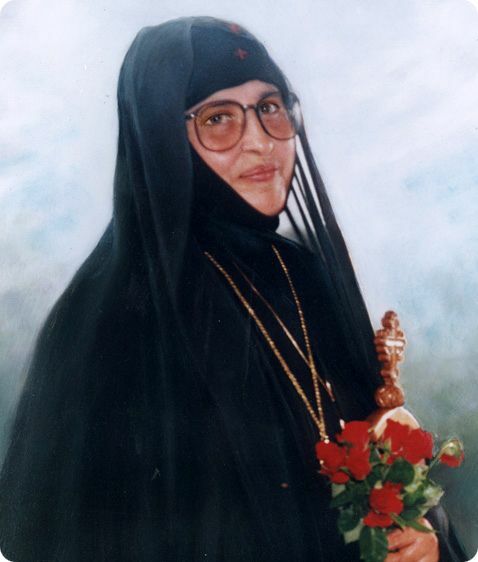 After a final pilgrimage to an icon of the Mother of God venerated not far from the monastery, he told his disciples of his coming departure for Heaven and was taken to a hospital in Athens where, after fifty days of suffering borne with a patience that edified all who visited him, he gave up his soul in peace to God on November 8. 1920. The faithful of Egina, the nuns of his monastery and all the Christians who had come close to him, mourned the loss of the meek and compassionate disciple of Christ who, in the likeness of the divine Paso of his Master, endured all his life calumnies, persecutions and false accusations. But God has glorified him, and miracles have abounded since his departure for those who approach his relics with faith or who rely on his powerful intercession. His body remained incorrupt for more than twenty years, distilling a delicate, heavenly scent, and then returned to the earth in the usual way. His relics were strongly redolent with the same perfume at the time of their translation in June 1953. This perfume has continued ever since to rejoice the faithful who come to venerate his precious relics with the assurance that Saint Nektarios has been received by God into the abode of the righteous. His veneration was formally recognized in 1961. The list of his miracles grows longer every day, and his shrine at Egina has become the most popular place of pilgrimage in Greece.